Man that owner is screwed. 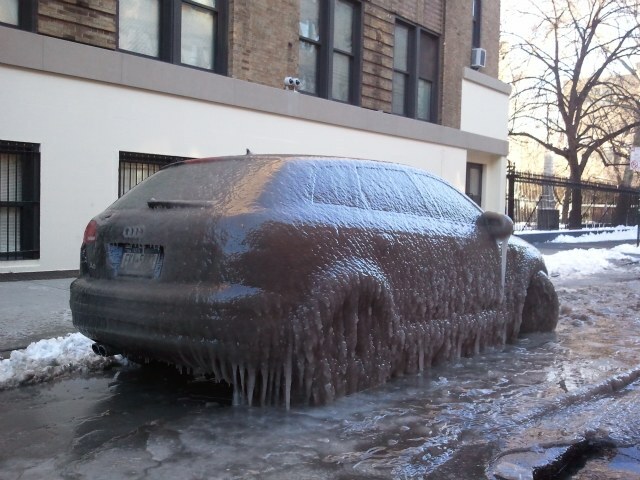 I wonder if there are conditions for ticketing taken if your car is actually frozen to the street? Based on this http://www.weather.com/weather/monthly/USNY0996 I hope nearby residents get used to the new audi-esque artwork for a month or so.